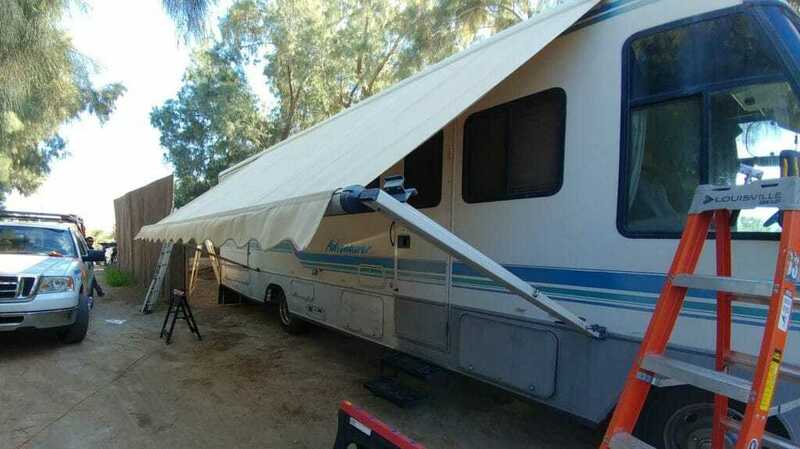 RV Acrylic Awning replacement. 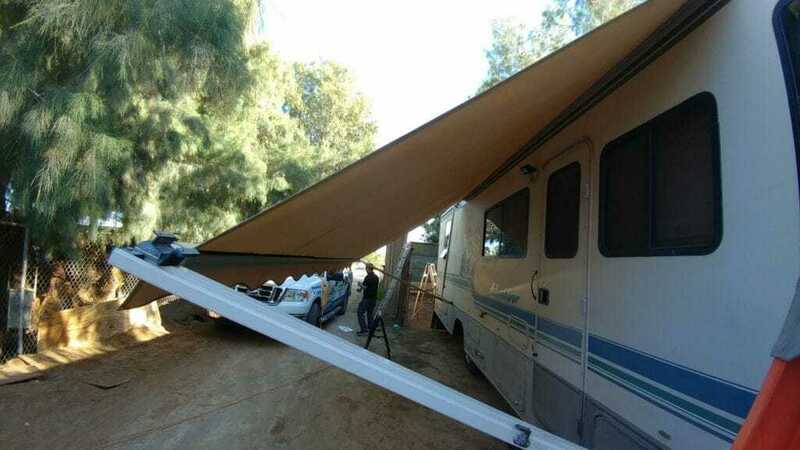 For future routine cleaning, if your awning is extremely dirty, we recommend to use a stiff brush, water, and regular soap, scrub it gently. Let it air dry, once is dry you can rolled it up and put away. This is important, If moisture remains on the fabric, mildew and dry rot will likely take hold and ruin the fabric. 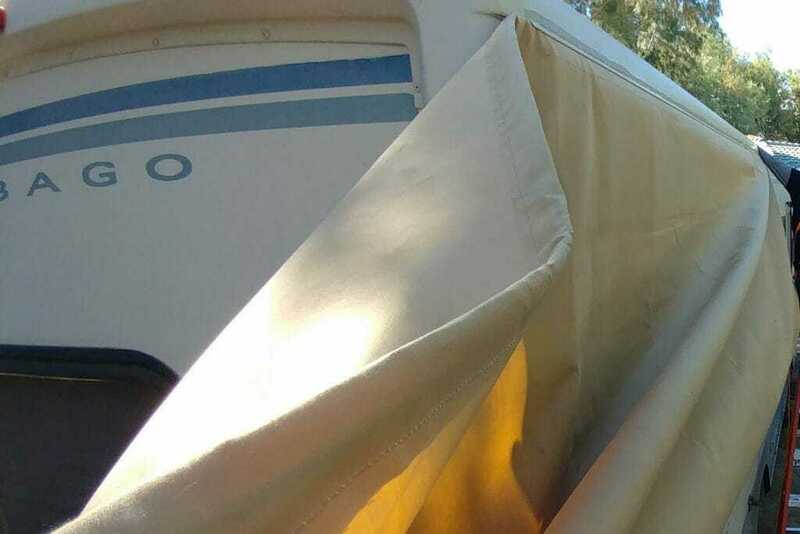 Acrylic Awnings don’t encourage the growth of mildew, the key is just let it air dry. If is just dirt, just wash with water, the less you scrub the better.